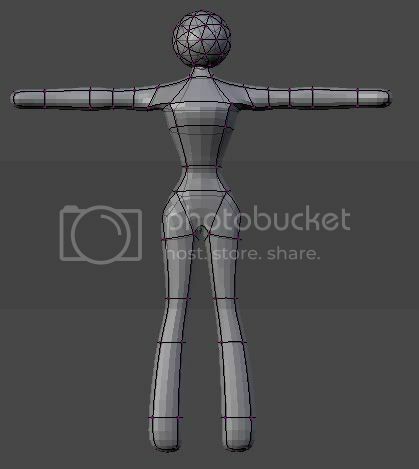 I am pretty new to Blender, I’ve learned most of the shortcuts, and I know how to create, extrude, manipulate items, but i’d like to know how to divide faces and split edges and such, to finetune stuff. If you’re interested in modeling and animating people, this is the best beginning tutorial I know of. Also check out the selected modeling threads in the sticky at the top of the modeling forum. You might also want to check past issues of Blenderart magazine. Most if not all issues have modeling tutorials of one kind or another. If you run into any problems with any of the tutorials, you can either ask here in the forums or you can contact me directly. I have something of a soft spot for helping newbies, so don’t be shy about asking for help. in my sig there is the link of an updated Video tutorial list I made. Check it out. It will get you up and running in no time.